Are you wondering what Circuit Scribe is? Well, it is basically a rollerball pen, but what’s different about it is that it uses conductive silver ink and helps you create circuits. 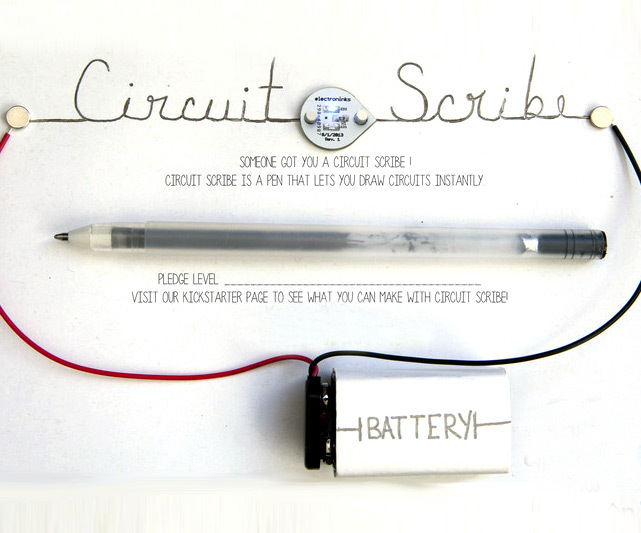 The Circuit Scribe was designed for Artists, Makers, Life Hackers, Kids and STEM Educators. Now, they no longer have to wait for the ink to dry. They can simply draw smooth lines using the conductive silver ink in the pen and, what’s more important, they can create circuits that actually work in just a second. You can use the Circuit Scribe no matter your skills or age. For example, it is excellent for project learning. Physics and other similar subjects can become much easier and funnier with this pen. Children can use their notebooks to draw switches and circuits and get creative with these concepts, while learning something new. At the same time, this invention can be used to create low-cost electronics. You just need a LED, a paper clip, a coin battery and, of course, the Circuit Scribe. It helps you be creative and impress your teachers and parents. 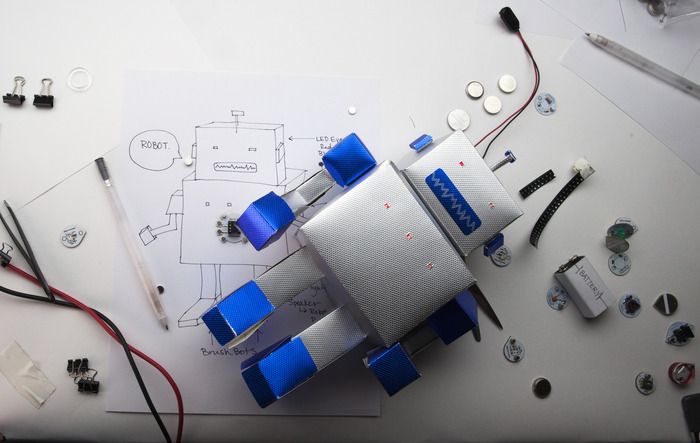 If you’re planning to make a robot, the Circuit Scribe can help you with that too. You can simply draw the circuits and then cut them out so as to introduce them in your creations. You will no longer need breadboards or wires with this amazing pen. The Circuit Scribe can be used in conjunction with different electronic platforms such as Makey Makey and Arduino. The Circuit Scribe Pen allows you to draw smooth and fine lines so that your circuit board can be as precise as possible. You will no longer have to worry that the ink won’t dry soon enough. In just a second, the lines left behind by the Circuit Scribe will be dry so that you can get down to business as soon as possible. There are numerous elements that you can use in conjunction with your pen in order to create amazing things. These are: DPDT switches, coin batteries, stencils, paper clips, 9V batteries, LEDs, sound buzzers or photo sensors. In fact, the Circuit Scribe comes with a small kit of electronic components to help you design your invention and make it functional. Put the paper on a magnetic surface and then place the components on it then you can start working. The Circuit Scribe can be used for mathematics, science, engineering, technology and much more. This entry was posted in News and tagged circuit boards, circuit scribe, conductive ink by andreeam. Bookmark the permalink.